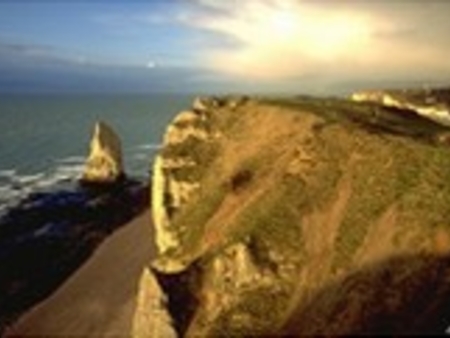 The English Channel and the south of the North Sea (zones CIEM IVc and VIId, E) are marine ecosystems that has been, for a long time, strongly exploited by different human activities (fishings, tourism and leisure activities, marine aggregate extraction, shipping, port and embarcation areas, degraded estuarine areas, coastal wind mills, etc. ), and thus has poses considerable economic issues as they are subjected to a multiplicity of users and stakeholders frequently having antagonistic interests. In spite these pressures, the natural resources (fisheries, bivalve aquacultures and minerals) found in these zones are desired by different sectors, at the national and European levels. The government, several institutions (EU, state and territorial collectivities) but also the society (fishermen, industrialists, ONG…), concerning the analysis of ecosystem responses to these various constraints, including global climate change, that do not cease to grow. The questions raised are more and more related to complexities involving species interactions, fishing strategies and captured species exploiation, ecosystem degradation and other conflicting use linked to human activities. The expected responses should integrate the overall complexities of all these situations. It should be noted that the Regional Advisory Council (RAC) constitution at the European level, and more specifically the Channel sub-RAC body, envisages a larger association where stockholders, scientists and institutions work together in analysing different management scenarios for a sustainable exploitation of these marine resources. In this ecoregion, system integrations and convergence of knowledge on these ecosystems as well as promoting the development of new research are essential for the implementation of an ecosystem-based approach towards marine stock management and quality improvement of policy advices and planning with the board of trustees to the public authority.